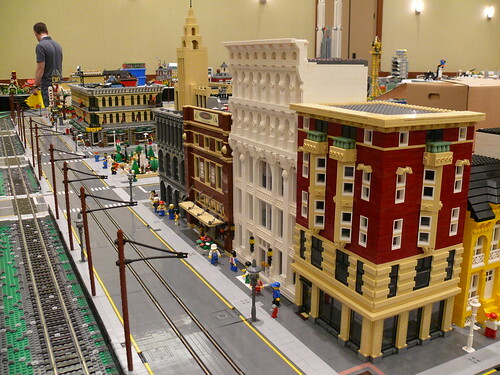 Brick Town Talk: Downtown Dominance - LEGO Town, Architecture, Building Tips, Inspiration Ideas, and more! Bill Ward took some great pictures from Brickworld 2011 in the Lake Michigan Ballroom. The building on the corner has a great early-20th century look to it. I wish I had that much dark red! Not that these buildings from the PennLUG guys aren't great, but we've already blogged them. They've even showed up in a similar arrangement at a few PennLUG layouts already.